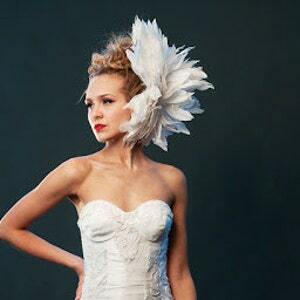 Irina Shabayeva PEONY feather headpiece. Irina Shabayeva "PEONY" feather headpiece. Irina Shabayeva "PEONY" feather headpiece. Comes attached to a small headpiece and a comb. Irina Shabayeva black "Butterfly" wings.